Our Firm has a long tradition of representing national, regional and local financial institutions in all aspects of lending and loan resolution for troubled loan arrangements. Our representation includes documentation for loans and security arrangements of all kinds, loan modifications and workouts, and remedies in the default context, including collection actions, trustee’s sales and judicial foreclosures, receiverships and UCC lien foreclosures. The Firm also provides creditor representations in borrower bankruptcy situations. Four of the group’s lawyers each have more than two decades of experience in providing services to banks and other financial services providers. Of these, Michael R. Urman and Kathryn B. Nelson possess a combined fifty plus years’ experience in representing lenders and borrowers in all manner of complex and substantial financing transactions. These financings include office buildings, hotels, shopping centers, franchise assets, school and other public facilities, wastewater treatment facilities and more unusual projects such as the principal oil and gas pipeline through Arizona and the principal fiber optics transmission line through Southern Arizona. Mr. Urman and Ms. Nelson have also served as Arizona counsel on financings for large mining projects (including operating mines) throughout Arizona, including representation of both lenders and borrowers. 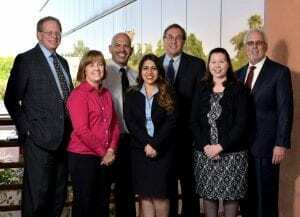 Mr. Urman and Ms. Nelson can provide any needed assistance with transaction documents, including the necessary Arizona security documents, customary legal opinions in connection therewith, as well as with other matters of Arizona transactions law. The Financial Services Practice Group also includes Steven J. Itkin and Gary F. Urman, who have each represented lenders in the areas of secured and unsecured creditors’ remedies for over 25 years. Their experience includes prejudgment attachments and provisional remedies, receiverships, trustee’s sales, judicial foreclosures, UCC lien foreclosures (including agricultural liens), collections and deficiency actions. In the bankruptcy context, Mr. Itkin and Mr. Urman are joined by Jody A. Corrales, a certified bankruptcy specialist in the State of Arizona, in representing creditors in Chapter 7, 11, 12, and 13 matters. This representation includes strategic planning and litigation involving discharges, property valuation, lift stay motions and plan challenges. Michael Urman and Kathryn Nelson also possess many years of experience with lender remedies and the negotiation and documentation of workouts of troubled loan arrangements. The Firm’s extensive use of paralegals in the collection, trustee’s sale and foreclosure contexts provides a cost effective approach to resolving problems faced by our financial institution clients. As a full service law firm, the practice group has access to other lawyers in the Firm with litigation, employment, tax, corporate, intellectual property and other specialized knowledge to address any need that may arise in the financial services representation context.